Use a roller 2-3 times per week. There is not another device that is this easy and effective while affordable. *Please use caution when buying a different brand of roller. Many are made of a softer metal and the tips bend immediately causing a slight tearing of the skin. 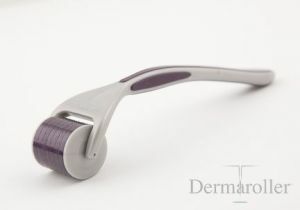 Dermaroller brand is the only device that AweNatural Skin endorses.